The London Plan sets the agenda for Greater London’s spatial development between now and 2031. The policies within the document can significantly impact the way you build inside the capital. You can download our FREE London Plan infographic below. This is based on our own BE research and recent projects, and details offset fees for developers in London. Developers in London must show how they will reduce emissions and energy use in any proposed scheme. This must be addressed within the planning application in the form of an Energy Statement. Major developments must reduce carbon emissions by at least 35% on site following these steps. For minor schemes and conversions, targets may vary by Borough. Since October 2016, major schemes in London have had to achieve zero carbon emissions. An Energy Statement will be used to demonstrate compliance. This can either be achieved on site or through off site solutions and payments. For more information on the Zero Carbon Homes requirements see our recent blog articles. At BE we’ve worked on schemes across most of the London Boroughs. Whilst the GLA guidance does give some much needed consistency, there still remain local nuances and a varied set of approaches. 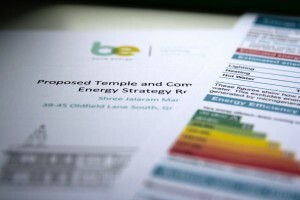 We always provide bespoke reporting to meet your boroughs local policy – this ensures the best chance of success for your application whilst maintaining an economic and commercially viable scheme. 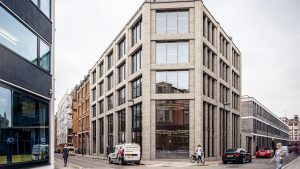 Our approach means that we can produce reporting which will not only satisfy those local planning policies, but also provide a key working document for your design and construction teams throughout the build. The process and document itself should help inform decision making, enable cost analysis and reduce risk. It should also be an opportunity to maximise sustainable design right from the start. We will usually look to carry out early stage SAP Calculations or SBEM Calculations which will form the basis of our study. There may also be other unique, local policies to address in your particular local authority or borough. BE will take time to look at your requirements, speak to your planning department if required, and understand local policy before making a proposal. We may for example find that the energy statement is to accompany a broader Sustainability Statement. "Build Energy provided us with SAP Calculations, Sound Testing and Air Pressure Testing.....they were extremely responsive dealing with the instruction rapidly and providing an excellent service."